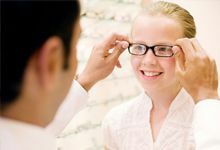 Every adult and child who is having problems with reading should be referred to reliable opticians for a full eye examination. Our colourimetry tests detect when your eyes are under too much stress and need some extra help. We are one of the only opticians in the area to provide this service and have specialised in this particular field for more than 15 years. Visual stress, Meares-Irlen syndrome or SSS (Scotopic sensitivity syndrome) mean that you are visually sensitive to patterns. These are usually striped patterns and can cause issues with reading and overall visual perception problems. While these conditions affect your life, there are ways that they can be reduced. 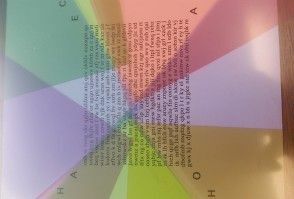 We use coloured filters such as coloured overlays placed over text or coloured lenses that are placed into spectacles. Your specific colour will be determined by an Intuitive Colorimeter along with our understanding staff. We ensure that you have had up-to-date eye examinations before going ahead with the colourimetry test. If a refractive prescription is required for long or short-sightedness, this is able to be incorporated in the coloured lenses. 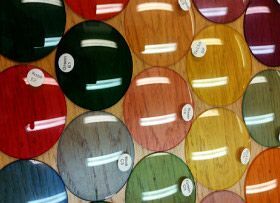 By completing an overlay assessment, this is our first step to determine whether coloured lenses will benefit you. During this assessment, our professionals go through a few simple reading exercises with and also without an overlay. If we see an improvement, we suggest that you purchase an overlay to use at home and in your daily routine for a few weeks. Then you will return for further assessment to see if there are positive developments. Alternatively, in cases where the benefit from the overlay is clear, we may suggest moving directly to testing with the Intuitive Colorimeter. When the overlays are beneficial, your optometrist may suggest colourimetry as the next stage. As a result, we may also prescribe spectacles with coloured lenses. The colour will be specific to your individual needs and is more precise than the overlay. Sometimes it is a different colour to the original overlay, depending on our findings. Coloured lenses are more convenient than overlays for board and computer work. Contact us in Retford, Gainsborough or Lincoln, to acquire more information about our colourimetry tests and eye examinations.